The next-generation iPhone is expected to abandon its conventional aluminum back cover design and will adopt a new design using two reinforced glass panes and a metal frame in the middle. The metal bezel will be made of stainless steel using a forging process to enhance its sturdiness and reduce costs and manufacturing time. No more Jony Ive's "aluMINum"? Thank God. You mean aluminium. Which is the correct way to say it. So the big news is we're going back to the iPhone4? Took Apple long enough to realize that was the best design. No more Jony Ive's "aluMINIum"? Thank God. When I hear "premium" iPhone, i don't know if it makes me laugh or just mad. What kind of "snobs" are you? The iPhone is a premium phone. Period. Just because the internals don't match that, doesn't mean 1000 $/€ for a phone is adequate. I love my iPhone but I definitely won't pay 1200 or 1500 bucks for it. Are you out of your mind? For a phone that looks nice but that you have to put in a case because otherwise your precious toy goes to waste real fast? iPhone is premium. An even higher priced iPhone that costs less than 300 $ in production is simply that, an even higher priced iPhone. Nothing premium about it. Just even more expensive. I really don't like the idea of an additional premium model. 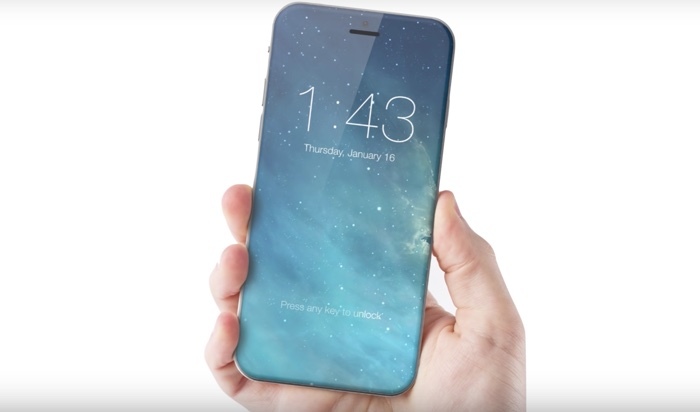 this should be how the new iPhone is ,not just limited to one additional model. the idea of the nicer,better model being even more expensive and unaffordable to many is really depressing. there should be only 2 varients : plus and standard,and both should feature OLED screen and redesign body etc. It was the Brits who changed their pronunciation to that. It all began, apparently, when an indecisive British chemist by the name of Sir Humphrey Davy in fact coined the now archaic word "alumium" in 1808. However, referring to the element in his 1812 book Elements of Chemical Philosophy, he would use the word "aluminum", much as Americans do today.